[PDF] Mediterranean Art: Fun and Easy Art from Around the World (Super Sandcastle: Super Simple Cultural Art Set 2) | Free eBooks Download - EBOOKEE! Description: Go on an art exploration and introduce kids to Mediterranean culture with a creative twist. Super Simple Mediterranean Art includes enjoyable and unique crafts adapted from the Mediterranean Sea, just for kids. They will learn to create an everlasting scoop of gelato, make an ancient Roman scroll, make a fun fez hat and more. 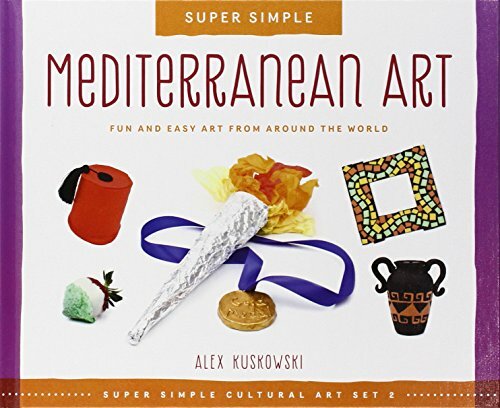 No comments for "[PDF] Mediterranean Art: Fun and Easy Art from Around the World (Super Sandcastle: Super Simple Cultural Art Set 2)".